It’s back to school season, and if you’ve glanced up from your smartphone while walking the streets of New York City, you are sure to have noticed a new campaign that is sweeping the city’s billboards and phone booths. Who could possibly object to children’s health and well being? The Child Mind Institute, whose “Billboard is now at Penn Station!” is a recently founded non-profit “committed to finding more effective treatments for childhood psychiatric and learning disorders, building the science of healthy brain development, and empowering children and their families with help, hope, and answers.”. According to their website, they don’t accept funding directly from pharmaceutical companies. Anyone want to help me start cross-checking Pharma’s ties to their staff and board? In a gushing profile of the organization and its founder, Dr. Harold Koplewicz, the New York Times reported last summer that they are awash in millions of dollars of funding, have 14 clinicians on staff, and a former editor of the New York magazine is editing their website. Koplewicz is also the go-to doc for helping celebrities and the 1% “manage” their children. The story glosses over Koplewicz’s messy departure from NYU to start the Child Mind Institute. “[Koplewicz’s] main mission in life, he contended, is to remove any stigma from mental illness among children and teenagers, make it merely something to be managed and overcome as it was with dyslexia or attention deficit disorder before it.” In his critique of Marcia Angell’s two-part series in the New York Review of Books on the epidemic of mental illness Koplewicz stakes out his position clearly: “In the meantime, we have patients, in our case children and adolescents, who desperately need help. These children may be out of control, overwhelmed by anxiety, dangerously aggressive, disorganized in their communication, floundering in school. We need to help them. Medications, often along with behavioral therapy, can have a transformative effect.” These are the symptoms that Koplewicz wants concerned parents to be vigilant about patrolling: Child Mind Institute Symptom Checker. To me, Koplewicz reads like a raving megalomaniac, and his devotion and conviction are more frightening than the fictitious evil masterminds he claims are posited by Psychiatry’s critics. I get the sense that he genuinely believes his own spin. He worships at the alter of “objectivity”—”We would like to see objective research catch up with the clinical realities but can’t wait until that happens. Furthermore, falling back on pure non-pharmacological treatment is not the better alternative, since these treatments have rarely undergone objective evaluation.”—and the Child Mind Institute is outfitted with “the latest in brain imaging technology”. Koplewicz wields a formidable rhetoric, but is almost a caricature of the scientific realists in the Science Wars. This post raises more questions than it answers. 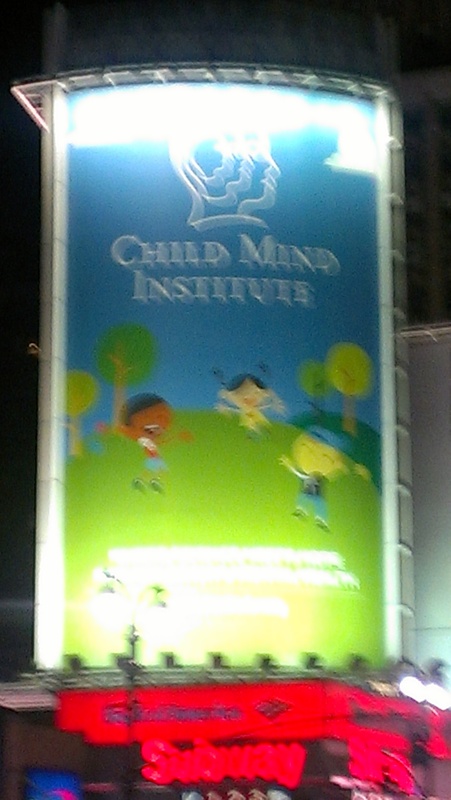 Who is funding the Child Mind Institute? Why now? How can organizations developing compassionate languages to describe mental diversity and difference, like The Icarus Project, respond to these campaigns? What roles do “objectivity” and “risk aversion” have in shaping the dynamics of this controversy? 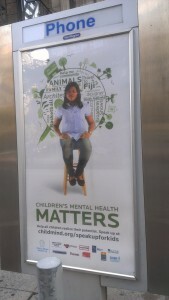 Should anything be stigmatized? UPDATE 4/22/2013: I tweeted about this ages ago, but realized that the following tidbit never made it into this post. If you visit the wonderful Drug Industry Document Archive and search for ‘Koplewicz’, you will find that he was one of the co-authors on the now infamous Paxil 329 study that cost Glaxo Smith Klein $3 BILLION in settlements in 2012. The Paxil 329 study tried to cover up the finding that not only does Paxil not work in children, but that it makes them more suicidal than a sugar pill did. The Dept of Justice found the study to be misleading and fraudulent. I am pretty sure that the study was ghost written, but I think that makes his credibility even worse. Special thanks to Dyan Neary for helping out on this post.